WhatsApp recently shared the news that 1 billion people are using their app daily, and this indeed a phenomenal number. But the eternal question which has always excited tech observers was that, how will WhatsApp monetize this mega user base? After giving a hint last year, WhatsApp has finally revealed their plan #1 for monetization; and from the looks of it, it seems pretty exciting; at least for businesses. Welcome to the next level of business communication, via WhatsApp! The idea is pretty simple: Verified businesses on WhatsApp would be now able to talk with end users, and provide customer support to their customers, using WhatsApp’s platform. And the bill would be paid by these businesses, instead of the end user. Verified businesses will now green get a tick badge, something like Facebook and Twitter’s verified accounts: clip_image002. Hence, when a normal WhatsApp user starts chatting with a green badge holding business number, then it means it’s a business chat, paid by that business. The colour within the chat shall be yellow, which is another indicator for business chat. Last year, WhatsApp’s co-founder and CEO Jan Koum had provided us with a hint of monetization plans for them. Bank customer informing the bank about a fraud transaction. And more. They have finally rolled out this feature. It is now active for some selected businesses on pilot basis, we can actually experience it first hand, and also know how it can be best used. But yes, one thing is clear: WhatsApp will not put advertisements, ever, for monetizing their billion odd daily users. What other methods can be used by WhatsApp to monetize their user base? Do let us know by commenting right here! Samsung users will be able to choose PayPal as their preferred method of payment in-app, online and in retail stores through the Samsung Pay mobile payments platform, the companies announced today. The strategic partnership will initially be available to Samsung Pay users in the United States before expanding to other countries, says Samsung. In addition to supporting PayPal at point-of-sale via Samsung Pay, the deal will also see Samsung Pay being added as a method of payment in-app and online for PayPal’s Braintree merchant base. 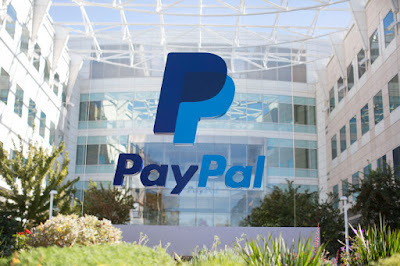 The move to connect PayPal’s wallet with Samsung Pay will open up PayPal to millions of stores, Samsung and PayPal both noted. Its mobile payments technology, a rival to Apple Pay and Google’s Android Pay, works both with NFC point-of-sale system and those using traditional mag strip technology. Because Samsung Pay supports Magnetic Secure Transmission (MST) technology, it can replicate a card swipe – allowing Samsung Pay to work nearly anywhere that payment cards are accepted. To increase its adoption in-store, PayPal last year partnered with major stakeholders like Visa and MasterCard for store payments. And in April 2017, PayPal said it would work with Android Pay as well, to support both mobile payments in apps and those in brick-and-mortar retailers. That said, Samsung Pay is not yet one of the most-used payment technologies in the U.S., according to recent data. According to a Boston Retail Partners survey on mobile payments released earlier this year, Apple Pay now has the largest percentage of supporting U.S. merchants, with 36 percent accepting the technology, up from 16 percent the year before. PayPal was a close second with 34 percent acceptance, followed by MasterCard PayPass (25%), Android Pay (24%), Visa Checkout (20%), Samsung Pay (18%), Chase Pay (11%) and private label mobile wallets with 4%. In addition, PayPal just last week announced an expanded relationship with Apple, which allowed the payments platform to be included as a payment option for App Store purchases that’s now accessible via Apple’s mobile devices, both in the U.S. and in 11 new markets. The news quickly sent PayPal’s stock soaring. The Samsung Pay tie-up is another example of PayPal’s plan to increase adoption via partnerships and deals, rather than trying to out-compete its mobile payment rivals with an “us vs them” strategy. For PayPal, getting a foothold in mobile is critical to the future of its business. As the company said today, it processed $102 billion in mobile payment volume and two billion mobile payment transactions last year. “At Samsung, we pride ourselves on our open model of partnership and collaboration, which helps us deliver the best experiences to our customers,” said Injong Rhee, CTO and Head of R&D, Software and Services of the Mobile Communications Business, Samsung Electronics, in a statement. “We are excited to be partnering with PayPal, one of the largest payment platforms in the world, to offer our global consumers a richer mobile wallet experience,” Rhee added. PayPal and Samsung already had a working partnership in place ahead of this new deal. For instance, PayPal and Samsung worked together on mobile payments back in 2014, and was added as a payment method in Samsung smart TVs the following year.